Friday from 10 am to 3 pm is the last day to stop by Student Affairs (Barrack Hall, Suite 103) to receive information about graduation and regalia, your parking pass, and register your vote for your favorite professor for the Williams Award. At Temple, there is a tradition that has been passed down from year to year that graduates who have children bring them up to the stage to accompany them as they receive their diplomas. (Children don’t sit with you for the whole ceremony; your family can bring them down to you when they see you line up to go on stage). We like to collect the names of the children who will be joining our graduates on stage and try to announce their names as well. We make no guarantees that this will work, but if we’re able to do it, we think your children will enjoy it. 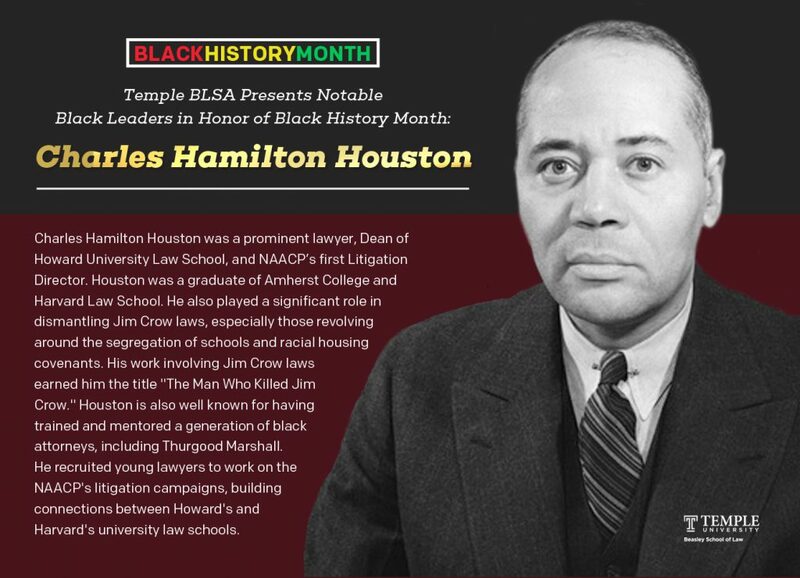 If you’re interested, you should e-mail Kathy Wilson at kilson@temple.edu with your children’s names (first name only please) and whether they are daughters or sons. Graduates whose parents, grandparents, spouses or siblings received their law degrees from Temple Law School can make special arrangements to have their degrees presented by their family members. To be part of this group, please contact Dorothy Lee at dlee3@temple.edu no later than Monday, May 6th with the name of the alumni, their relation to you, their year of graduations, and a telephone number and e-mail address where you can be reached. Spring exams begin next week! The last day of classes this semester is Monday, April 22nd. Exams will begin on Wednesday, April 24th and end on Monday, May 6th. The Spring 2019 Examination Schedule is available here. If you are planning to take your in-class or free slot exams on a computer, it is now time to download your exam files. Your exams are available under “My Exams” in Examplify. If you experience any difficulty downloading the Exam Files, please stop by the 2nd Floor Help Desk at Klein for assistance. Staff will be available on April 22nd from 4 to 6 pm and April 23rd from 11 am to 1 pm and 4 to 6 pm. See you there! The summer course schedule and registration information is now posted on the law school website and can be found here. If you have questions please do not hesitate to reach out to jennifer.bretschenider@temple.edu. All 1L’s, 2L’s, & 3LE students will need to clean out their locker by May 7th. Graduating students have until August 4th to clean out their lockers. After these dates, the lockers will be cleaned out and anything remaining in the lockers will be thrown out. Students must submit by midnight on May 15th their intent to participate in either journal’s write-on. If you intend to participate, please click here. On-campus interviews for law library Head of Public Services candidates will be held May 1-3. The search committee would like students to have input into the hiring of this important position, which includes teaching and student outreach responsibilities. Currently the student portion of the interview is scheduled from 11:30-12 each day. Please consider volunteering for one or more days; you’ll review the candidate’s resume, formulate questions, and, after the interview, write down your thoughts on the candidate. If interested, or if you’d like to know more, please email Julie Randolph at julie.randolph@temple.edu. The Oklahoma Supreme Court and the Sovereignty Symposium, Inc. will host The Sovereignty Symposium XXXII, June 5 to 6th, at Oklahoma City’s Skirvin Hotel. The Symposium is the premier conference on Indian Law. Each year they invite law students to submit papers to the Chief Justice John B. Doolin writing competition. The three winning papers are published in the annual Symposium book of materials on Indian Law. Cash prizes of $750.00, $500.00, and $250.00 are awarded. The Symposium also awards the Hargrave Prize of $1,500, $1,000 and $750.00 for the best three original and unpublished papers submitted by faculty or other legal scholars. Find information on both competitions here. The Foster, Flowers and Ziomek Legal Fellowship – named for three Philadelphia lawyers admired for their commitment to pro bono, mentoring, and collegiality in the profession – is a paid opportunity designed to provide a recent law school graduate with a strong foundation to begin a legal career in Philadelphia. The Fellowship is a paid, 12-week, full-time immersion in civil pro bono at Philadelphia VIP. Applications are reviewed on a rolling basis, with priority given to those received by June 7th. More details available here. Expand Your J.D. Education in Tokyo! Attend the only full-time J.D. semester abroad program in Japan accredited by the American Bar Association. Learn international, comparative, and U.S. law from an outstanding faculty composed of globally educated professors and practitioners. Students are immersed in international culture daily as they interact with law students from Japan and around the world, Temple’s faculty, and the legal and business community. Open to 2L, 3L, evening, and part-time program students who have completed their first year of study and are in good academic and disciplinary standing at an ABA-accredited U.S. law school. Learn more and apply here! This is a yearlong clinic for 3Ls, with 3 credits awarded in the Fall semester and 3 credits awarded in the Spring semester. Students will attend a classroom component every other Thursday evening from 4 to 6 pm along with either biweekly Tuesday morning or biweekly Wednesday afternoon Reentry Court. Participation in this clinic does not prevent students from also participating in other clinics during their 3L year. The CRN for Fall 2019 is 28352. Any questions please contact Mai Le at mai.le@temple.edu. The Philadelphia Bar Association needs you on election day to hand out the Judicial Commission’s ratings. Please volunteer to sign up for one or both Election Day shifts. Volunteers are needed to work at polling places across Philadelphia on May 21 from 7 to 10 am and 5 to 8 pm. Handing out the ratings at polling places will help to educate voters as to which candidates are highly recommended or recommended by the Commission as they are preparing to cast important votes for judicial vacancies. You can sign up to work either or both shifts at: https://forms.gle/yYWEkMQ5o9WKarza7. Please pass on this information to anyone you know who might be interested in volunteering to help. Remember, you do not need to be an attorney to participate in this effort, so encourage your non-attorney friends to volunteer as well. Please ask them to sign up via the above link. Need a Notary Public for the Bar Application? Professor Kathy Mandelbaum is a Notary Public and is happy to notarize documents (if necessary) for the bar application. Professor Mandelbaum is in K518 – please stop by or email to set a time (kathy.mandelbaum@temple.edu). The Pennsylvania Bar Foundation is pleased to announce the opening of the Patti Rose Scheimer Bednarik Memorial Scholarship, a scholarship for a student or lawyer committed to animal law and animal welfare. The application period opened February 1st and closes May 21st. Read more about the scholarship here and find application instructions here. The Judge John Brown Scholarship Foundation is pleased to announce the twenty-sixth annual Brown Award, honoring excellence in legal writing. The awards range from $10,000 to the first place winner to $1000 to a finalist. Your submission must be postmarked no later than June 3rd. In support of their commitment to diversity and inclusion, Kelley Drye is offering a $25,000 diversity scholarship award and paid summer associate position to an outstanding second-year law student who belongs to a diverse population that has been historically underrepresented in the legal profession. You can learn more about the scholarship here. The application period will begin June 1, 2019 and close July 31, 2019. Applicants are encouraged to apply soon! Please contact recruiting@kelleydrye.com with any additional questions. The American Inns of Court Warren E. Burger Prize is a writing competition designed to promote scholarship in the areas of professionalism, ethics, civility, and excellence. Interested authors are asked to submit an original, unpublished essay of 10,000 to 20,000 words on a topic that addresses issues of legal excellence, civility, ethics, and professionalism. The winning essay will receive a cash prize of $5,000. Submission deadline is July 1st. Mandatory: All May & July 2019 Graduates Please Stop By Student Affairs Beginning April 15th! All May and July graduates should stop by Student Affairs beginning the week of April 15th. Please come by Barrack Hall, Suite 103 anytime that week (Monday to Thursday 10 am to 7 pm and Friday 10 am to 3 pm) to receive information about graduation and regalia, your parking pass, and register your vote for your favorite professor for the Williams Award. Don’t forget to accept your 2019 Graduates Canvas page invitation if you have not done so already! We are looking forward to seeing you all in the coming weeks before Graduation! Financial Aid Staff will be available at the Information Desk on the 2nd floor of Klein on April 15th from 11:30 am to 1:00 pm. Stop by to get all of your questions answered about Summer Work Study and the Law Foundation Matching Funds application process, which opens on April 15th at 10 am! If you are planning to take your in-class or free slot exams on a computer, it is now time to download your exam files. Your exams are available under “My Exams” in Examplify. If you experience any difficulty downloading the Exam Files, please stop by the Help Desk at the times listed below. Interested in a Career in Tax? Learn more about the rich diversity of practice settings and practice areas that make Tax such a rewarding field. Panelists include lawyers working in state and federal governments, in private practice, and doing pro bono work; their practices span entity taxation, international tax, state and local tax, issues facing low income taxpayers, tax controversy and litigation, judicial clerkships, and employee benefits. Join us on Monday, April 15th at 12 pm in K1E. Lunch will be provided. Big law firms from our region will host an informal meet and greet lunch reception for 1L students on the second floor of Klein – students can stop by, grab some lunch, and say a brief hello. Spend a little time with a different firm each day of the week – and let them wish you good luck as you wrap up this academic year. The receptions will be held on the 2nd floor of Klein, in the alcoves on either side of the main stairs from 12 to 1:30 pm. See you there! The International Labour Organization, in partnership with Temple University, invites you to commemorate the 75th anniversary of the signing of the Declaration of Philadelphia on April 17th at two events, “The Changing Nature of Work” (with moderator Professor Brishen Rogers and featuring remarks by Senator Bob Casey) and “In Conditions of Freedom and Dignity: Realizing Decent Work”. Register for these events here. The Spring 2019 Examination Schedule is available here. This Spring, the last day of classes is Monday, April 22nd. Exams will begin on Wednesday, April 24th and end on Monday, May 6th. Sponsored by Notre Dame Law School, any current student may submit an essay on any legal ethics topic. The essays that are submitted to the competition will be judged on their clarity, coherence, creativity, insight, and mastery of the rules and cases relevant to the topic. The winning essay will receive a $2500 prize. Submission deadline is April 26th at 5 pm. Spring Exam Conflict Forms Due Monday April 8th! The Spring 2019 Examination Schedule is available here. This Spring, the last day of classes is Monday, April 22nd. Exams will begin on Wednesday, April 24th and end on Monday, May 6th. Please be aware that the exam period is very compressed and that, under our exam conflict policy, you may likely be required to take an exam every other day. Join IDEAL and the Dean’s Council on Diversity and Inclusion on April 8th from 4 to 5 pm in K2A for a workshop to provide tools to help navigate difficult conversations that can arise with peers, supervisors and clients – in classes as well as at work. Join a discussion on the effect of criminal records with Zane Johnson, attorney with Philadelphia Lawyers for Social Equity, on April 8th from 12 to 1pm in K1A. This event is cosponsored by The Expungement Project and Public Interest Programs. The Law School’s LL.M. in Trial Advocacy program is seeking volunteer mock jurors for our upcoming LL.M. Final Trials on Saturday, April 13th and Sunday, April 14th.We are looking for up to 60 jurors on Saturday and 40 on Sunday. We are in need of student volunteers to sit as jurors. Our LL.M. students will be trying two different cases on both days, one is a criminal trial, the other is civil. We will be holding our final trials at the Criminal Justice Center (1301 Filbert Street, Philadelphia, PA 19102), and anticipate actual courtroom surroundings will give an added sense of realism and make the day much more compelling for all involved. Participating mock jurors are to arrive at the Criminal Justice Center and sign in at the registration table outside Courtroom 504 no later than 8:30 am. All jurors will be impaneled and will deliberate on the verdict. This is an all-day commitment – jurors should plan to stay until 5 pm. Please RSVP to Professor Braccia at marian.braccia@temple.edu. The Temple International and Comparative Law Journal will hold write-on training sessions. The training will cover how to approach the various write-on components as well as general tips for a successful write-on. We will reference substantive Bluebook Rules as well as the process for completing the write-on materials. Please join us on Tuesday, April 9th from 12 to 1 pm in K1D or Thursday, April 11th from 5 to 6 pm in K6A. Please join ACE Counselors, Prof. Shellenberger, and Mai Le for a helpful discussion on tackling exams this semester. These will be the final sessions before the end of the semester! First round auditions for spots on the 2019-20 National Trial Team will be held on Thursday, April 11th, from 9 am to 5 pm and, if needed, Friday, April 12th, from 9 am to 1 pm. All (non-graduating) current students are eligible to audition. Please sign up for an audition time beginning at 1 pm on Tuesday, April 2nd in Klein, Room 612, with Mary Beth Wilson or via email at mwilson6@temple.edu. Students should be prepared to give an opening statement [either side] from the file or case you are currently using in LRW or ITA/ITAP. 1Ls enrolled in LRW, please prepare an opening statement from the “assignment” on which your oral argument is based. Upper level students currently enrolled in ITA or ITAP, please prepare an opening statement in the case assigned for your final trial. You will have approximately 5 minutes for your statement, although you need/should not attempt to complete the entire opening in 5 minutes. You may be interrupted and asked to address a particular part of the case and how it bears on the argument. You may also be asked to speak extemporaneously about a topic of our choosing. Finally, you may be interviewed about your background, schedule and commitment. Join the Office of Public Interest Programs, current and former fellows, faculty, and your classmates on April 11th from 12 to 1 pm in K1D for this essential introduction to and overview of post-graduate legal fellowship opportunities. This is a “can’t miss” event for anyone interested in learning more about fellowship opportunities, preparation/planning, deadlines – and all the available resources here on campus to help along the way. Lunch will be provided. There are two Public Health courses with Professor Scott Burris offered this Fall, 2019: Public Health Law and Empirical Legal Research Methods: Health Policy. Public Health Law surveys the broad terrain of law and the public’s health while Empirical Legal Research Methods provides a comprehensive introduction to the scientific methods for measuring law and its effects. These are sequence courses (interested students would take Public Health Law then Empirical Legal Research Methods). These two courses are offered in collaboration with the College of Public Health as the basis for a Certificate in Public Health Law (pending approval). The two other courses for the Certificate will be offered by the College of Public Health: Multivariate Statistics and Health Law Research Project. Over the four course set, students will learn to conceptualize, design, and conduct an evaluation research project. Please note that JD students who do not wish to get the Certificate will still be able to take the two law school courses as part of the normal JD curriculum. For media requests, please contact Erika Pinheiro, erika@alotrolado.org, or Nicole Ramos, nicole@alotrolado.org. Are you interested in becoming a member of the Philadelphia Bar Association? The Board of Governors is sponsoring a number of student memberships so that you can join for free! If you are interested, please email Amber Racine at amracine@rayneslaw.com. Join Professor Levy and Britt Walden every Wednesday from 5 to 6 pm for Workout Wednesdays, a run, jog, or walk around campus. Meet us on the front steps at 5 pm. Please RSVP to britt.walden@temple.edu and check out our Facebook event/group here. Every year the Multicultural Judges and Lawyers Section of the Delaware State Bar Association awards a $3000 scholarship to at least three future practitioners who will sit for the July 2019 Delaware Bar Exam. The 2019 Alford Excellence Scholarship Application is due by April 12th. Please contact Mai Le at mai.le@temple.edu for the most up to date instructions and application. Course registration begins next week. All students will be permitted to select a Priority Course(s). Please plan ahead and review the course schedule , the Faculty Academic Advising Presentations which can be found on this page and the registration timeline – there have been some changes and new courses have been added. If you have any questions please do not hesitate to reach out (jennifer.bretschneider@temple.edu). First round auditions for spots on the 2019-20 National Trial Team will be held on Thursday, April 11th, from 9:00 a.m. to 5:00 p.m. and, if needed, Friday, April 12th, from 9:00 a.m. to 1:00 p.m. All (non-graduating) current students are eligible to audition. Please sign up for an audition time beginning at 1:00pm on Tuesday, April 2nd in Klein, Room 612, with Mary Beth Wilson or via email at mwilson6@temple.edu. These two courses are offered in collaboration with the College of Public Health as the basis for a Certificate in Public Health Law. The two other courses for the Certificate will be offered by the College of Public Health: Multivariate Statistics and Health Law Research Project. Over the four course set, students will learn to conceptualize, design, and conduct an evaluation research project. Please note that JD students who do not wish to get the Certificate will still be able to take the two law school courses as part of the normal JD curriculum. We hope you found the faculty academic advising panels useful. Feel free to visit this page for the recordings from the sessions on ITP, Tax Law, Immigration Law, Criminal Law, and Public Interest Law. Join Temple in the City on Friday, March 29th from 3 to 4:30 pm in Gladfelter 413 for a panel discussion on immigration law including DACA, asylum, and travel bans. The panel will include legal experts Renee Hykel Cuddy, Lauren Berkowitz, and Douglas Carman. Lauren Berkowitz (a recent Law graduate!) will also be discussing law school, law internships, and a career in the field of immigration law for students in attendance considering law school (if you are interested in sharing your experience as a law student!). 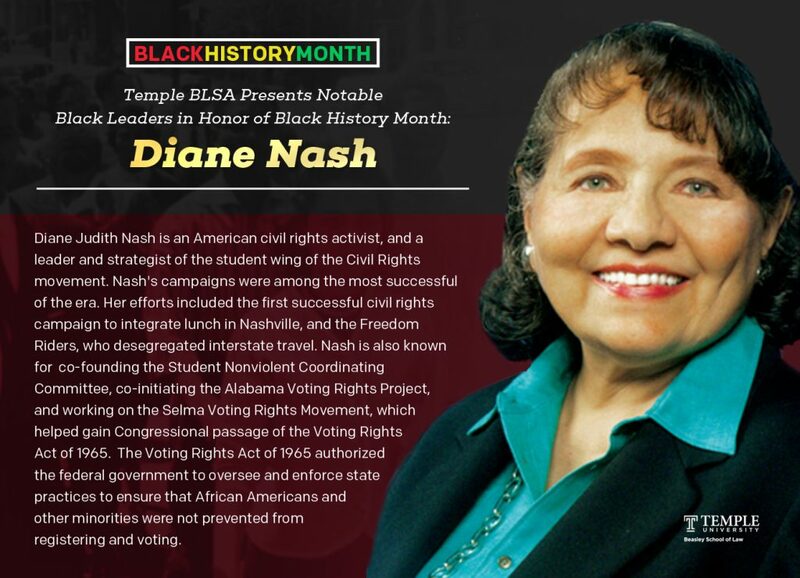 Any questions and to RSVP please contact pscity@temple.edu. Please join us on April 2nd from 12 to 1 pm in K6B for a career presentation from Defense Logistics Agency. As the nation’s combat logistics support agency, the Defense Logistics Agency manages the global supply chain – from raw materials to end user to disposition – for the Army, Navy, Air Force, Marine Corps, Coast Guard, 10 combatant commands, other federal agencies, and partner and allied nations. Temple Law Review’s Write-On Training on April 3rd from 5:15 to 6:15 pm in K2A will cover how to approach each of the different components of the Volume 92 Write-On Packet. Additionally, general tips for approaching write-on as a whole will be discussed. We hope to see you there! We invite the Temple Law Classes of 2021 and 2022 to meet members of the Philadelphia Legal community. This event will be held in Conversation Hall (second floor) in City Hall on April 4th from 5 to 7 pm. RSVP in the CPM on the Events page! Practicum forms, including updated deadlines for the 2019 to 2020 academic year, will be posted to the website in early April. The updated forms will include both (1) the registration form for school designed and approved practicums as well as (2) the form which is submitted for Dean Ramji-Nogales’ approval concerning independent, repeat, or for profit practicums. Are you ready for some Kickball? The 1st Annual Temple Law Kickball Tournament will be held on Saturday, April 6th starting at 11 am. Register your teams here: https://goo.gl/forms/ogrcl6gQeRWyaICs2 Invite your friends and family for a day of fun and community. Please join us on March 25th at 11:45 am in the Moot Court Room for the 2019 Ross Lecture, “The 10 year Anniversary of the NAS Report: Two Steps Forward or One Step Back?”, presented by Michigan Supreme Court Chief Justice Bridget McCormack. You can RSVP and find more information here. Stop by the Second Floor Information Desk at Klein Hall for academic advising and registration assistance. Staff will be available on March 25th and 26th from 11 am to 1 pm and 4 to 6 pm. See you there! Have you attended your faculty academic advising panel of interest yet? There are two lunchtime panels remaining; please plan on attending at least one (lunch provided). The livestream links for two panels are also below. The sessions will provide detailed academic advising for students interested in the field of law covered in the respective panel, will review the 2019-2020 academic schedule, and answer questions about courses, sequencing of courses, experiential programs, and more. The U.S. Office of Personnel is hosting the Federal Internship and Employment Student Symposium on Tuesday, March 26th from 10 am to 2:30 pm. Students have the option of participating virtually AND in-person. If you are interested in working for the federal government, please consider participating in this event. Click here for more information. Join Temple’s Institute for International Law & Public Policy for a discussion on the Venezuelan crisis with Santiago Martínez, legal consultant to the Due Process of Law Foundation and the International Commission of Jurists, on March 27th from 12 to 1 pm (Check the LiveWhale calendar – room to be announced!). There will be a guided panel discussion on March 28th from 5 to 7 pm in the Third Floor Lounge of Barrack Hall on special education in the Philadelphia school system, with a particular focus on access to resources and how special education students can be excluded from an equal student experience. Our panelists have varying experiences and viewpoints, ranging from special education attorneys to school personnel. Dinner will be served. Register here: mytlawconnection.com/SDAS2019. We hope to see you there. Can you bust a move? Do your singing skills rival Mariah Carey? Are you the next Kevin Hart? Show off your skills at the 1L Talent Show on March 28th beginning at 7:30 pm in K1E. Stick around for fun, dancing, and karaoke! Please RSVP by March 22 bit.ly/lawenforcementcareersfor this event on Thursday, March 28th at the Drexel Kline Institute of Trial Advocacy (1200 Chestnut Street). We anticipate the following schedule: Registration at 5 pm, Panel from 5:30 to 6:30 pm, and Networking from 6:30 to 7:30 pm. Consistent with the Feds in Philly program, there will be food and non-alcoholic beverages at the reception. See you there! 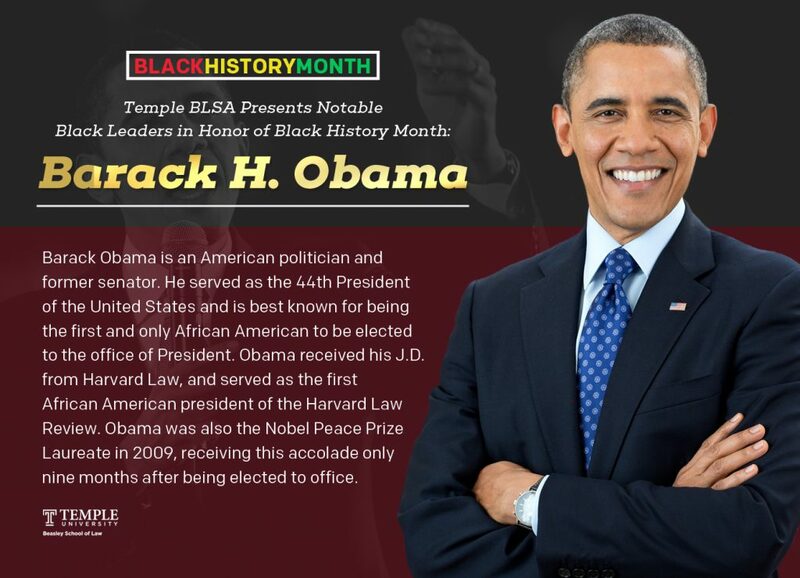 Temple Law is Philly proud. Celebrate the season home opener of the Philadelphia Phillies by wearing your best gear on March 28th. Remember the game against the Atlanta Braves starts at 3:05 pm at Citizens Bank Park. The Sports and Entertainment Law Society is seeking volunteers to assist in a re-entry program with the NFL Players Coalition in a few weeks. This will be an amazing and rewarding event assisting current and former NFL players with various legal needs. We are expecting a big turnout and are in need of some more volunteers. For those interested, we are looking for volunteers on March 28th from 6 to 8 pm and March 29th from 7 am to 4 pm. If you would like to help out, please reach out to Chad Lewis (chad.lewis@temple.edu) or Professor Jacobsen (kenneth.jacobsen@temple.edu). The SELS appreciates your willingness to assist! We have a Canvas page for all 2019 Graduates. We will use this page to let you know of important information regarding graduation. Please accept your invitation if you have not done so already! Join the American Bar Association at the Marriot Marquis in Washington, D.C. from March 26th to 29th for the 67th Spring Meeting of the Section of Antitrust Law where competition and consumer protection meet. Last year there were over 3300 delegates from 65 countries present. Students are invited to attend the Spring Meeting CLE events for the nominal fee of $35, $40 or $50 (depending on membership status)! Register here. We look forward to seeing you at these lunchtime (12 to 1 pm) faculty academic advising panels. Please plan on attending at least one (lunch provided). The sessions will provide detailed academic advising for students interested in the field of law covered in the respective panel, will review the 2019-2020 academic schedule, and answer questions about courses, sequencing of courses, experiential programs, and more. Ms. JD’s 11th Annual Conference on Women in Law, “Speak Up”, will be held on Friday, March 15th, at the University of Pennsylvania Law School. The full day conference, featuring keynote speaker Judge Wendy Beetlestone, will feature panels, discussions, a keynote lunch, break out sessions, and a closing reception. You will find more information here. Join Student Animal Legal Defense Fund, Justinians, Brehons, and other student organizations on Monday, March 18th from 12 to 1 pm in K1D to hear from attorneys who have turned their legal education into successful careers in policy. Panelists will include NJ Senator Raymond Lesniak, Logan Welde, Staff Attorney at the Clean Air Council, and Jason Redd, the Director of Government & Regulatory Affairs at Gibbons P.C. Interested in a first hand account of what’s happening at the southwest border? On Monday, March 18th at 12 pm in K2B, come hear Nicole Ramos, TLS ’07, Director of Al Otro Lado in Tijuana, talk about the asylum crisis at our southwest border and the situation of asylum-seeking families. Dean Ramji-Nogales will moderate. You can learn more about Nicole here. Please join us for a discussion on advising and the MPRE on March 20th from 5:20 to 6 pm in K2A. On March 21st from 7:20 to 8 pm in K1D, Associate Deans will provide instructions and guidance on upper level course registration for the second year of law school for evening students. Please email jennifer.bretschneider@temple.edu if you are unable to attend. Temple Law’s Admitted Student Open House is on Saturday, March 23rd from 8:15 am until 3:30 pm. On that day, current law students play an important role. Our students are the heart of Temple Law School, and we want to make sure that our success in recruiting remarkable students continues. We are hoping you will volunteer to help at the Open House. We are looking for students to assist for the full day, but especially from 8:15 to 9:30 am for greeting and tours, and from 12:30 to 1:30 pm for lunch panels with the prospective students. We promise to have plenty of coffee and food available for our volunteers. We’d also love to have you join us at the Closing Reception (a wine and cheese reception) from 2:30 to 3:30 pm. If you’re able to volunteer, please send an email to Jacqueline Ryan in the Admissions Office at jacqueline.ryan@temple.edu indicating the hours that you are available to volunteer. Thanks in advance for your generosity and good spirit! For those interested, we are looking for volunteers on Thursday, March 28th from 6 to 8 pm and Friday, March 29th from 7 am to 4 pm. If you would like to help out, please reach out to Chad Lewis (chad.lewis@temple.edu) or Professor Jacobsen (kenneth.jacobsen@temple.edu). The SELS appreciates your willingness to assist! Stop by the Second Floor Information Desk at Klein Hall for academic advising and registration assistance. Staff will be available on March 19th, 21st, 25th, and 26th from 11 am to 1 pm and 4 to 6 pm, and on March 20th from 11 am to 1 pm. See you there! Cozen O’Connor has planned the following health and wellness event for Cozen attorneys and area 1L law students: Maha Yoga & DIY Trail Mix on March 19th from 3:30 to 5:00 pm at 1700 Sansom Street. To RSVP, please email PHarrinarine@cozen.com. Space is limited so be sure to reserve your spot! Please join us on March 21st at noon in K2B for the 2019 Fogel Lecture, “Entity Taxation in the 2017 Legislation: Process and Policy”, presented by Dana Trier. You can RSVP and find more information here. Don’t forget to change your clocks on March 10th! Laurie Besden, Esquire, Deputy Executive Director of Lawyers Concerned for Lawyers (LCL) will be in Klein 519 from 11:30 am to 2:30 pm on March 13th for “closed door” assistance. Students can meet with Laurie to talk confidentially about addiction, alcohol issues, mental health disorders, gambling, stress, depression or ethical and bar related questions related to any of these issues. This is an opportunity to receive help and we encourage you to stop in to meet Laurie. As always, LCL is available at any other time. To reach LCL please call 1-888-999-1941. Please note that Laurie does not share any information with faculty or administration – this is completely confidential. All 1L Day students should mark your calendars for a very important information session about upper level course selection and registration on March 13th from 12 to 1 pm in K1E. Dean Ramji-Nogales, Dean Harris and Dean Bartow will provide information about the upper level curriculum and registration. This session is essential; if you are unable to attend please email jennifer.bretschneider@temple.edu in advance. Mark your calendars for an important Internal Clinic Information Session on March 14th from 12 to 1 pm in K1D. The Clinical Faculty will discuss Temple Law’s Internal Clinics and the internal clinic application process. Questions? Please email jennifer.bretschneider@temple.edu. All 1L Evening students should mark your calendars for a very important information session about evening upper level course registration on March 20th from 5:20 to 6 pm. Dean Bartow and Dean Harris will provide information about the upper level curriculum and your fall 2019 schedule. This session is essential. Questions? Email jennifer.bretschneider@temple.edu. In an effort to help students make the most of their time at Temple Law, the faculty will be having academic advising discussions for students. You should plan to attend at least one of these panels. Most of the panels will be live streamed (please contact britt.walden@temple.edu because we will not live stream unless there is a demand) and all sessions will be taped. A separate email will be sent to you reminding you about each of the panel discussions. These faculty panels will provide important information about: the courses offered at Temple Law, experiential opportunities, the skills necessary to practice law in a specific area, and career opportunities. Students will also be given an opportunity to: learn how to select a program of courses that allows each student to make the most of Temple, ask questions about curriculum, course sequencing and planning, and get to know some of the faculty who teach in specific areas of the law and who can act as advisors and mentors. The following panels are scheduled – please mark your calendar! Interested in transactional work? Do you learn better when you apply concepts to real problems and tasks? Then come to an information session on Tuesday, March 19th at 12PM, for the Integrated Transactional Program and hear from faculty and students about the course, assignments, learning goals and format. This is a 10 credit program open to rising 2L Day and 3L Evening students. Pizza will be served! Questions? Email jennifer.bretschneider@temple.edu. The Talent Show will be on Thursday, March 14th from 7:30 to 8:30 pm in K1E. Food, wine, and a keg will be provided. Please join us! The Fellowship recipient(s) will receive a stipend, up to $5,000, for full-time summer employment (of at least ten weeks). Applicants are eligible for the Marutani Fellowship even if they seek or receive other sources of summer funding. Individuals eligible to apply include current first-year and second-year Asian Pacific American law students attending law school in Pennsylvania and the Greater Philadelphia Area. For more information, visit the website. Applications and supporting documents must be submitted by Friday, March 8th. The University of Nebraska College of Law’s Space, Cyber, and Telecom (SCT) Law Program was selected by NASA to establish the Space Law Network (SLN). As part of this program, SCT leadership, Professor and Co-Director Matt Schaefer and Executive Director Elsbeth Magilton are pleased to announce the Nebraska Publications in Space Law Workshop to be held in Lincoln, NE, from April 6 to 7th, at The University of Nebraska College of Law. For more information on the workshop, click here. Travel grants are available and the process for applying can be found here. Apply as soon as possible but no later than March 8th! Did you miss the Student Loan Repayment Information Session presented by Ann Durandetta of AccessLex Institute? Attend a makeup session on March 11th from 12 to 1 pm in K2A to discuss all of the options for federal student loan repayment, including income-driven repayment options, and the Federal Public Service Loan Forgiveness program. This program is particularly recommended for 3Ls and 4LEs approaching graduation. Lunch will be provided. Informational Sessions and a Temple Law Review 101 Panel with ACE will be held on: Tuesday, March 12th from 12 to 1 pm in K2A and Wednesday, March 13th from 5:15 to 6:15 pm in K2B. In addition to detailed information concerning what the write-on process entails, Law Review members will explain what Temple Law Review is, what it does, and why it matters. A Q & A will follow the informational and panel. Food will be provided. Questions? Feel free to email Write-On Coordinator Chelsey Dawson at writeoncoord@gmail.com. We hope to see you there! Now is the time to begin the financial aid application process for the 2019-2020 academic year. The financial aid application process is entirely online. To apply you must submit the following by Monday, March 18, 2019. Join Professor Levy and Britt Walden every Wednesday from 5 to 6 pm for Workout Wednesdays, a run, jog, or walk around campus. Meet us on the front steps at 5 pm. Please RSVP to britt.walden@temple.edu and check out our Facebook event/group here. See you on Wednesdays starting March 13th! If you need anything during break please do not hesitate to reach out to jennifer.bretschneider@temple.edu. All 1L Day students should mark your calendars for a very important information session about upper level course selection and registration on March 13th from 12PM-1PM in K1E. Dean Ramji-Nogales, Dean Harris and Dean Bartow will provide information about the upper level curriculum and registration. This session is essential; if you are unable to attend please email jennifer.bretschneider@temple.edu in advance. Mark your calendars for an important Internal Clinic Information Session on March 14th from 12-1PM in K1D. The Clinical Faculty will discuss Temple Law’s Internal Clinics and the internal clinic application process. Questions? Please email jennifer.bretschneider@temple.edu. All 1L Evening students should mark your calendars for a very important information session about evening upper level course registration on March 20th from 5:20PM-6PM. Dean Bartow and Dean Harris will provide information about the upper level curriculum and your fall 2019 schedule. This session is essential. Questions? Email jennifer.bretschneider@temple.edu. Did you miss this week’s Student Loan Repayment Information Session presented by Ann Durandetta of AccessLex Institute? Attend a makeup session on March 11th from 12 to 1 pm in K2A to discuss all of the options for federal student loan repayment, including income-driven repayment options, and the Federal Public Service Loan Forgiveness program. This program is particularly recommended for 3Ls and 4LEs approaching graduation. Lunch will be provided. This is the rescheduled date due to this week’s inclement weather. On Monday, February 25th from 12 to 1 pm in Barrack Hall, Room 205, Ann Durandetta of AccessLex Institute will discuss all of the options for federal student loan repayment, including income-driven repayment options, and the Federal Public Service Loan Forgiveness program. This program is particularly recommended for 3Ls and 4Ls approaching graduation. Lunch will be provided. Cozen O’Connor has planned the following health and wellness events for Cozen attorneys and area 1L law students: Flywheel Sports & Amino Juice on February 27th from 4:45 to 6:00 pm at 1521 Locust Street and Maha Yoga & DIY Trail Mix on March 19th from 3:30 to 5:00 pm at 1700 Sansom Street. To RSVP for either (or both) events, please email PHarrinarine@cozen.com. Space is limited so be sure to reserve your spot! The Camden County Bar Foundation has scholarship opportunities. The application deadline is February 28th. Please apply here under scholarships. Wednesday, March 20th at 12:00 (Day Session). Questions? Feel free to email Write-On Coordinator Chelsey Dawson at writeoncoord@gmail.com. Attend a lunchtime presentation with Susan Butler Plum and Kathleen Rubenstein of the Skadden Foundation on February 19th from 12 to 1 pm at the University of Pennsylvania Law School, Tanenbaum 142. This event is designed for law students of all years who are interested in learning more about the Skadden Fellowship application process, selection process, and program. Visit the Skadden Foundation website for more information about this two-year funded public interest fellowship. Lunch will be provided to those who RSVP here. Please join ACE and members of the Temple Law Review Volume 92 for Temple Law Review 101. This session will have a panel of Law Review members explain what Temple Law Review is, what it does, and why it matters. A Q&A will follow the panel questions. Two sessions will be held on February 20th, in K2A from 12 to 1 pm and the Moot Court Room from 5:15 to 6:15 pm. Questions? Contact Chelsey Dawson at writeoncoord@gmail.com. We hope to see you there! Round 2 Spring 2019 On-Campus Interviews (OCI) will take place from 2/22 through 3/29. You may submit your applications to participating firms and other employers on the CPM by going to https://law-temple.12twenty.com/. Please complete your applications for Round 2 of OCI by 12 pm on February 15th. If you do not have health insurance, you have the option of enrolling in one of Temple University’s school-sponsored plans during the open enrollment period. The last day to enroll is February 15th. Need some guidance scheduling class/homework/free time? Stop by the Time Management Help Desk on February 19th from 11 am to 1 pm and 5 to 6 pm. First 20 students get a free calendar! Join Professor Levy and Britt Walden every Wednesday from 5 to 6 pm for Workout Wednesdays, a run, jog, or walk around campus. Meet us on the front steps at 5 pm. Please RSVP to britt.walden@temple.edu and check out our Facebook event/group here. See you on Wednesdays!